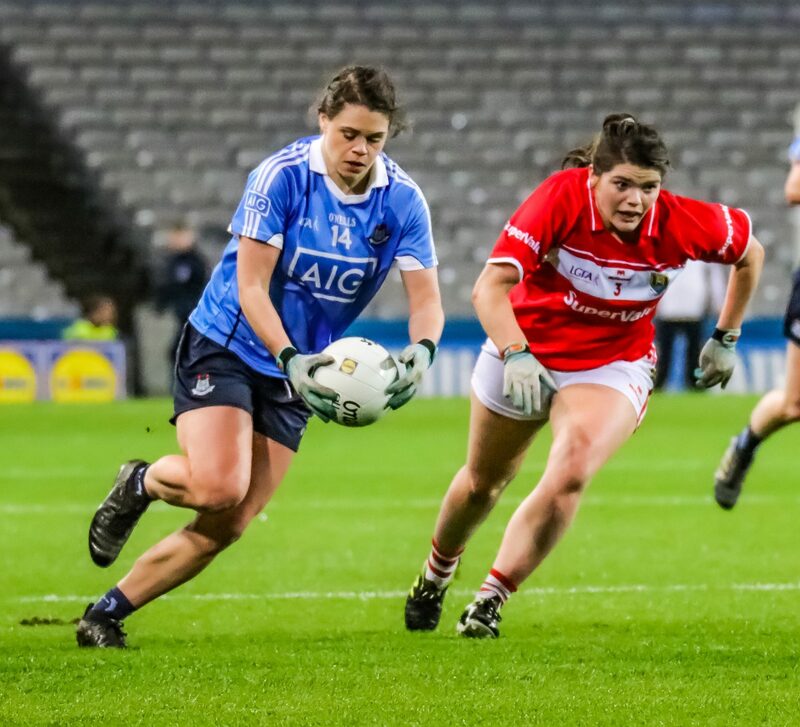 Dublin’s great start to the Allianz National Football League remained on. course as they recorded their third straight win but they were made work hard for it by a spirited Donegal side. 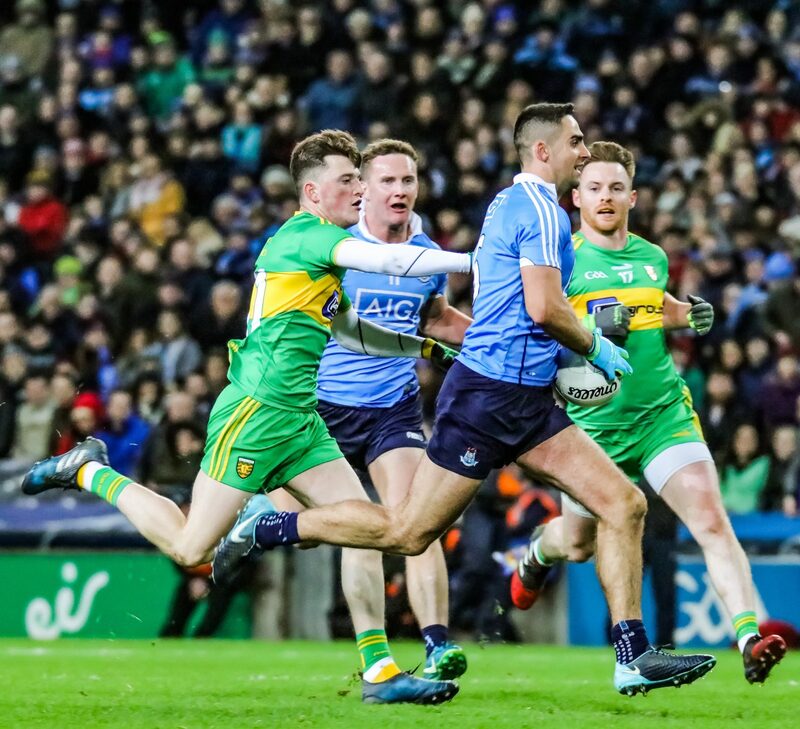 On a bitterly cold night with a strong howling around Croke Park it looked like it would be a comfortable night for Jim Gavin’s side as they controlled the first half and led by six at the break in a scoreline of 0-11 to 0-05. 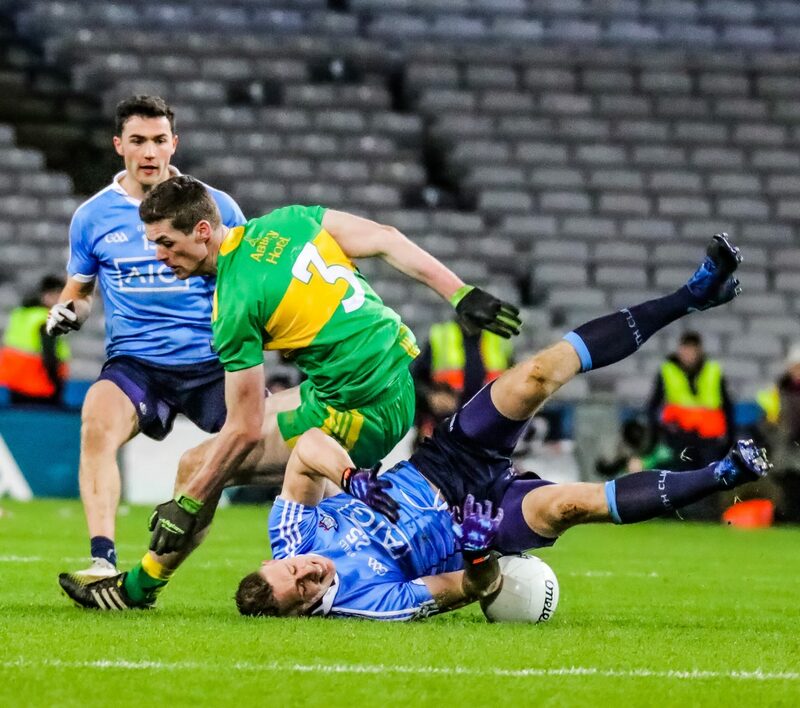 Dublin built the comfortable platform by pushing up on the Donegal restarts forcing Peter Boyle to kick to the middle third where the Sky Blues dominated through Fenton, Macauley, Cooper, McCarthy, Lowndes and Scully either winning clean catches or gathering up any loose ball. The Dubs led by six points to two inside the opening 15 minutes with points from Colm Basquel with a pair and one each from Niall Scully, Paddy Andrews, Ciaran Kilkenny and Eric Lowndes, the Donegal replies coming from Ryan McHugh and Jamie Brennan. Further points from Brian Fenton and Paul Mannion and three from the impressive Niall Scully put the All Ireland champions in a commanding position as they headed to the dressing rooms. The lead was stretched out to seven with the first attack from the restart as Brian Fenton broke forward and slotted the ball over the bar and at this stage it look not so much of Dublin would win but by how many. But Donegal threw off the shackles and gave it a right good rattle and with ten minutes to go in the game the lead had been cut to just a single point. A Stephen McBrearty point was cancelled out with a good score from Ciaran Kilkenny but Donegal had their running game in full swing and a Ryan McHugh point was quick followed by two from Patrick McBrearty. Brian Howard and Jamie Brennan swapped points but Dublin were finding it more difficult to rediscover their fluid play of the first half. 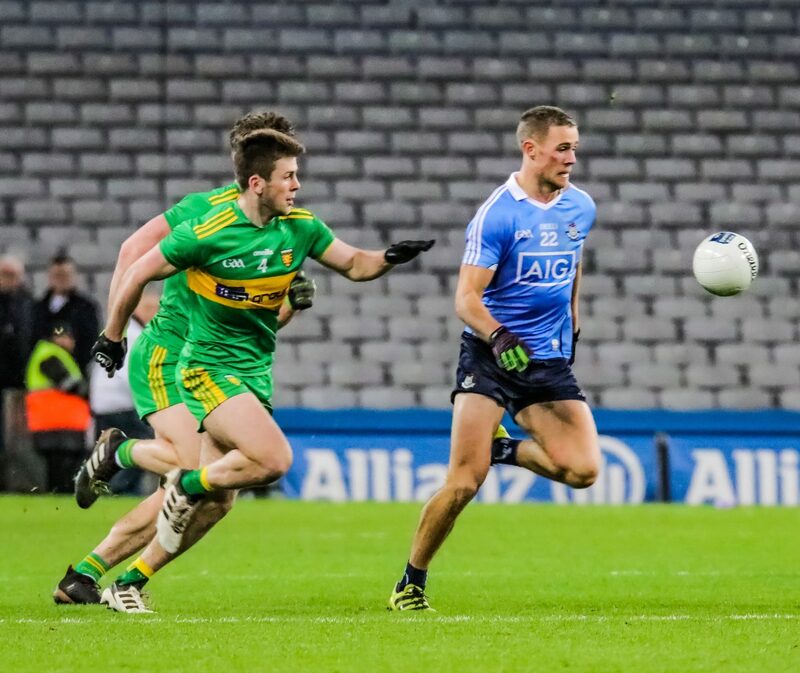 Stephen and Patrick McBrearty added three more points between them as Donegal continued to eat away at the Dublin lead. In the 54th minute Colm Basquel stopped the one way traffic with a super point for Dublin. Three minutes later Donegal were awarded a free, Declan Bonner sent on Michael Murphy to a big roar from the Donegal supporters. He stepped up to take the free but the move from the sideline backfired as he hit it wide. Colm Basquel punished the miss down the Hill 16 end with another fine point, but two more Patrick McBrearty points out the bare minimum between the sides with ten minutes to play. 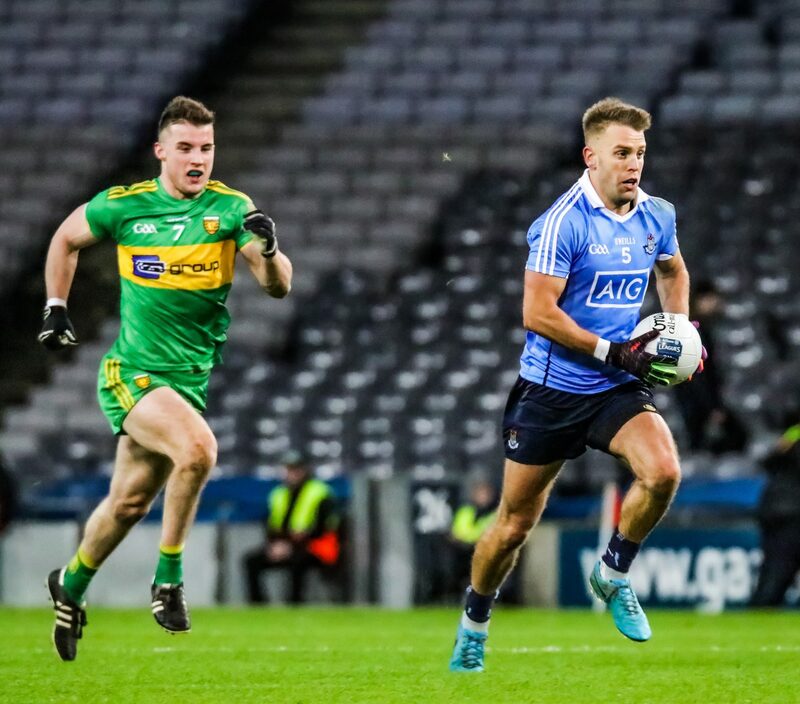 Dublin though as they have done over the last few years finished strongly down the home straight and four unanswered points from Paul Mannion, Eoghan O’Gara, Ciaran Reddin and Paddy Small secures the win for Jim Gavin’s side.